I would like to introduce you all to my new BFF, Tanya Zuckerbrot. Some of you may have heard of her because she is all over social media, tv, the internet, and probably sitting right in your kitchen cabinet. You’re scratching your head with that last one, aren’t you? We will get there! I owe a lot to Tanya and call her my new BFF because she has changed my life in more ways than one. Sounds cheesy, but hear me out for a second. Ever since middle school, I have struggled with my weight. I was always a little body conscious and found myself comparing my body to the other girls in my class. As I reminisce on pictures of myself, I looked cute! Sure, I had a little pudge, but what the heck was I so ashamed of? I remember being on diet after diet. Juice cleanses, HCG, Paleo, Raw Vegan, Keto, dramatically reducing my calories…You name it and I did it. It was absolutely horrible because I felt horrible. Now, this isn’t a post shaming anyone who is on any of these diets. If any of the above is working for you and feel good, more power to ya! All I know is that I felt like crap until I found Tanya Zuckerbrot. MS, RD, and internationally known dietitian who created the well-known F-Factor diet and her all-natural products. One, in particular, the 20/20 Fiber/Protein Powder. 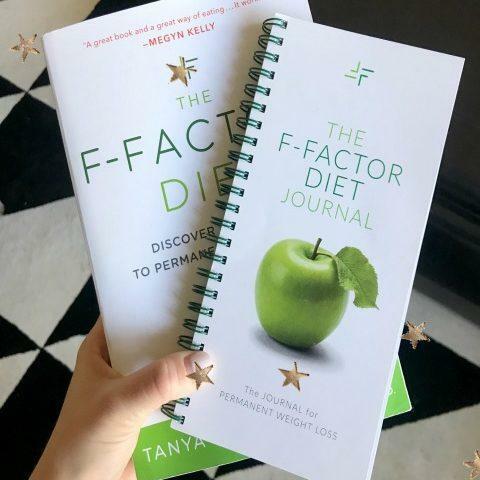 Before we get into F-factor and the 20/20 fiber/protein powder, I’d like to give a huge shout out to The Skinny Confidential Him & Her Podcast (a show hosted by Lauryn Evarts and her husband, Michael Bosstick) where I first heard about the F-Factor diet and Tanya Zuckerbrot. I was blown away by how knowledgeable Tanya was and fell in love with her approach to weight loss. You can listen to the podcast here. Now, what is the F-Factor diet? 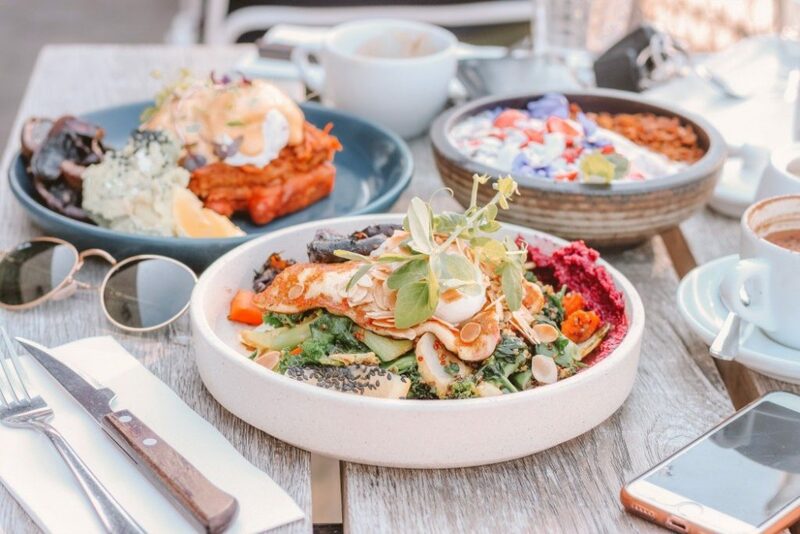 F-Factor is a scientific approach to eating that focuses on combining lean proteins with high-fiber carbohydrates which ultimately keeps you feeling fuller throughout the day. Feeling hungry and depriving yourself of the foods you want are a thing of the past with this program. Fiber, which is the indigestible part of the carbohydrate, has no calories. It adds bulk to foods and fills our tummies up. My favorite part about eating more fiber is that it boosts our metabolism – our bodies have to work to digest it. Its kind of like our body is on the treadmill without being on the treadmill. Do you feel me? The “F” in F-Factor originally stood for one thing: Fiber. However, according to Tanya, the “F” now stands for more than just “fiber,” it stands for “freedom” and boy do I feel free! With this program, I have the freedom to dine out whenever I want, eat carbs, and enjoy cocktails when out with friends. There is no deprivation and I never feel guilty for eating something indulgent. Fiber might not be the sexiest word to use, but I throw the word “fiber” around like it’s going out of style because I want everyone around me to hop on the bandwagon. I mean, who doesn’t want to rev up their metabolism, have clear skin, feel good in a bikini, and live a long, healthy life?!? These protein powders come in two flavors: Chocolate and Vanilla. There is nothing quite like it and I want to explain why I am so in love with these fiber-filled powders. There is no other protein powder that has 20g fiber per serving as most powders on the market only have 1g. Mind blown. 20 grams of Fiber per serving and 20 grams of Protein per serving. Hence the name, 20/20. The best part, there are only 3 grams of net carbs! The F-Factor 20/20 Fiber/Protein supplements pack in 20 grams of fat-fighting fiber to boost your metabolism, satisfy hunger, and provide more than half of your daily fiber needs. Also, there are some amazing recipes you can check out. My favorites include the *NEW* 20/20 Chocolate donuts with Vanilla frosting and the 20/20 Chocolate Chip Biscotti.You can find so many recipes on their website and Instagram. Many socialites, models, CEO’s, celebrities are all living the F-Factor way. It has almost been a year now since I found Tanya and I get chills saying that she has changed my life. I have found a confidence in myself and my body that I have never had before and it is all thanks to F-Factor and Tanya Zuckerbrot. I feel confident, strong, and FREE! 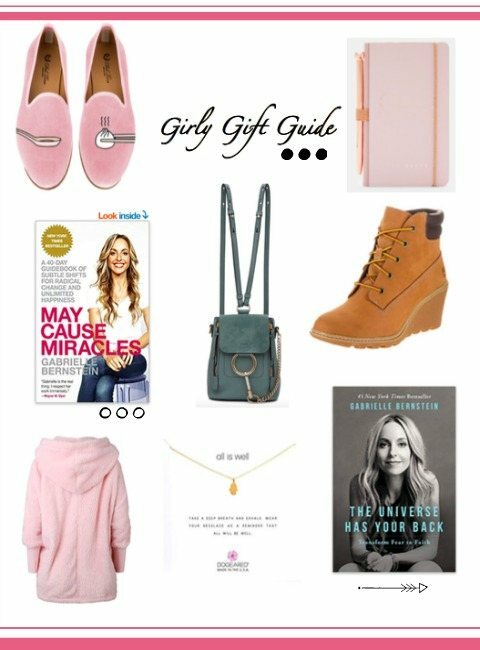 You can check out her book which I read cover to cover in a day! I was so inspired and blown away by the information I read in this book. I was nowhere near the amount of daily fiber we should be eating and ate way more than the suggested 35 grams of net carbs. No wonder I always felt bloated. My workouts were absolutely insane and I found myself in the gym practically torturing myself trying to shed some weight. Happy to announce that I do Yoga/Pilates only four times a week now fit into a jean size that I never thought I would get to. Tanya’s F-Factor book sits on my kitchen counter to inspire me every morning and her protein powders (SO YUMMY!!!) are propped front and center in my kitchen cabinet ready for me to make her famous 20/20 smoothies OR waffles. I carry around my F-factor Diet Journal and proudly display it on my desk for everyone to see. It allows me to keep myself accountable and gets me excited for what my day of food looks like. This is great-I’m truly inspired. I’ve tried all the diets out there. This seems to be a lifestyle I can support! Thank you for the information, as well as your insight. This sounds great! I’m definitely going to check it out! Hi! I’m so happy that you wrote about F-factor. I love this program, ever since starting the program I’ve been eating cleaner and I feel so great!!! I’m definitely going to take some of your advice and apply it to my routine. I am very interested in this. I will be looking forward to see your progress as you continue this diet/ lifestyle! I will continue reporting! 🙂 Thanks for stopping by. Really really really well written! Living by the same motto … living being the optimum word! Look forward to following your journey!